To find freedom and happiness, you have to be free not from the problems in your world but from your mind and through your mind. Your mind is both - Your oppressor and your liberator. You become free from the mind when you become free from obsessive thoughts; you become free from thoughts not only by stopping thoughts, but by understanding their true nature and how they originate. 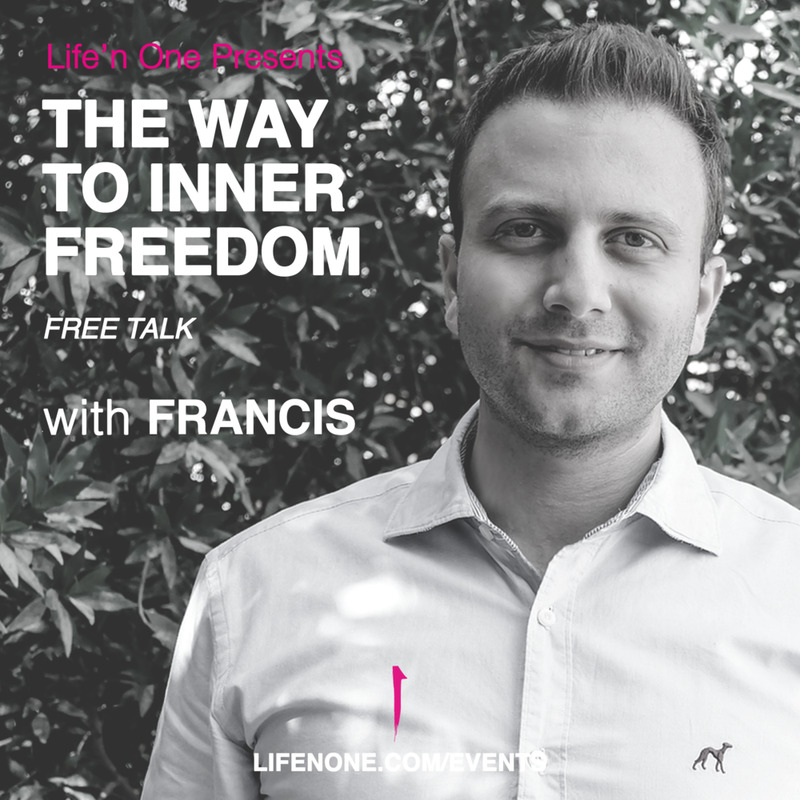 Francis Saliba (founder of Revolution of Happiness) is a speaker, certified trainer and coach with a twist. In his teachings, he combines the theoretical and practical understanding of self-development and self-transformation with his vast spiritual knowledge. Francis developed a step-by-step course which merges his acquired experience of education and people development with diligently selected transformational concepts from a wide variety of spiritual sources. Francis’ goal was to combine his knowledge to create a clear guided approach to help people become better versions of themselves. His intention is to give others the tools that can help them live a life of fulfillment, lightness, contentment and happiness.